This post is quite exciting for me, my first ever guest post from another Blogger! Having guest posts on my blog was actually a plan of mine this year so I was really pleased when Caitlin got in touch! She offered to write a review on one of my favourite foundations so it was an offer I couldn't refuse. read the bottle and it says it contains 3 correcting pigments i could not resist! not bad. The one thing i hate about Bourjois products are they are all in French or quite alot of them are. It can be very difficult to find a shade if you don't speak french! However this makes a lovely change from my matte foundations and this gives me a gorgeous luminous finish. It dosn't apply to the face cakey and it dosn't slide off my face after a couple of hours. I went for one of the lighter shades and bought it in Vanilla. 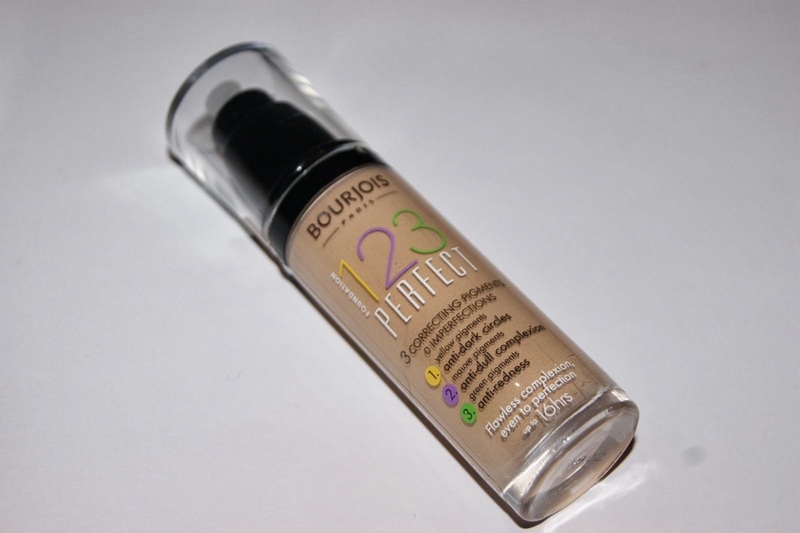 So yes if you want a gorgeous, luminous, full coverage foundation give this a whirl. The correcting pigments do actually work and im often asked what i wear on my face when wearing this! If you're interested in swapping guest posts feel free to get in contact!